While marketing executives may be excited by the prospect of more highly-targeted campaigns, the issue has provoked the ire of civil libertarians and privacy advocates. "On-selling consumer data without their consent is illegal," Australian Privacy Foundation board member Katina Michael told ninemsn. Dr Michael said that when consumers enter into agreements to use credit cards they are not consenting to their personal details being on-sold to third parties. 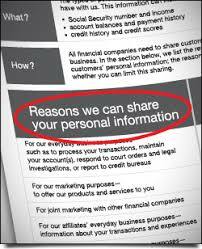 She added that consumers are becoming increasingly concerned that their data is traded by third parties and many are demanding that their personal information be stored in a secure manner and not passed on.